Panorama of Niagara Falls at Twilight, Canada / United States. 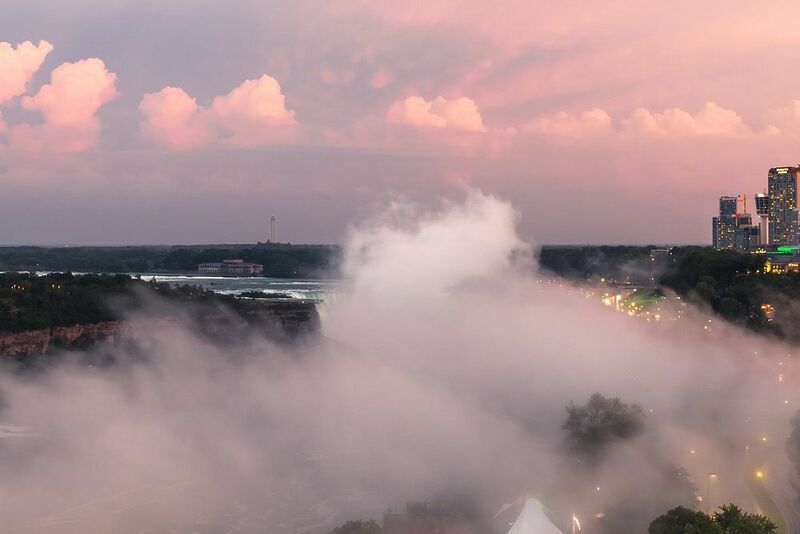 View from the Canadian side, on left: the American Falls, in the center: the Canadian Falls (a.k.a. 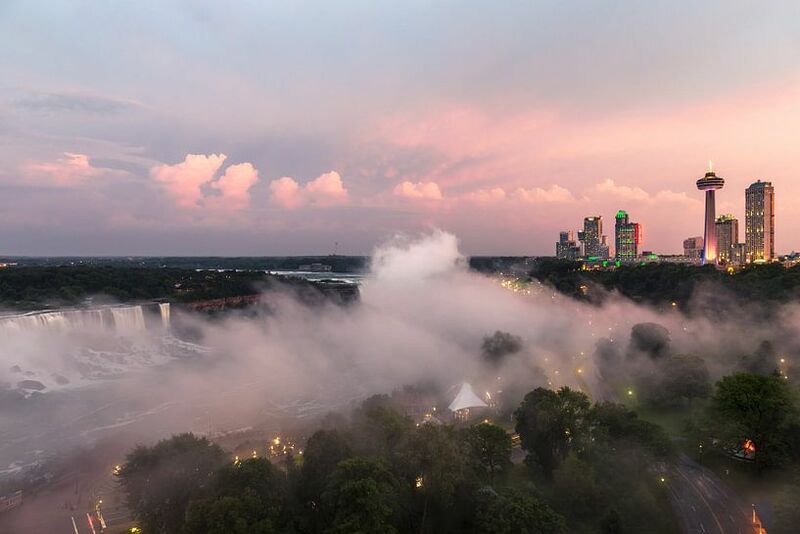 Horseshoe Falls), on the right: the skyline of the town Niagara Falls, Ontario.